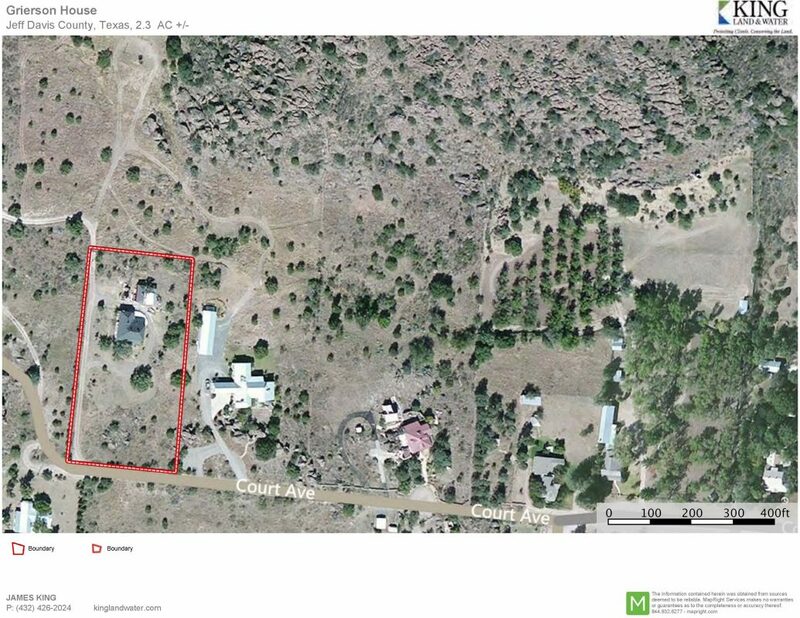 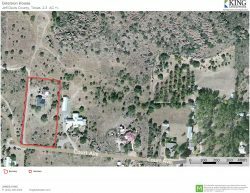 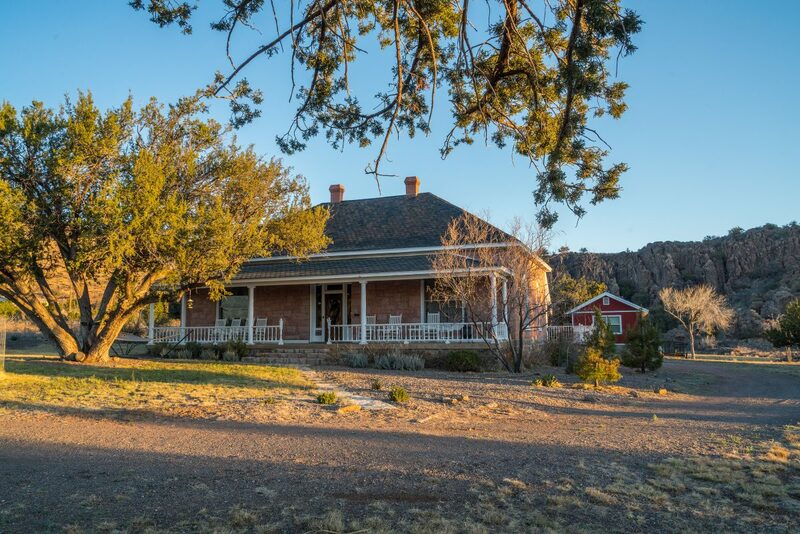 The Grierson House is located at the base of Sleeping Lion Mountain at the end of Court Avenue, through the Boulders at the west edge of Fort Davis, Texas. 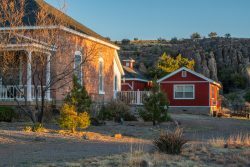 The Fort Davis National Historic Site towers above this property with the palisades of columnar boulders of Sleeping Lion Mountain as the backdrop of this private residence. 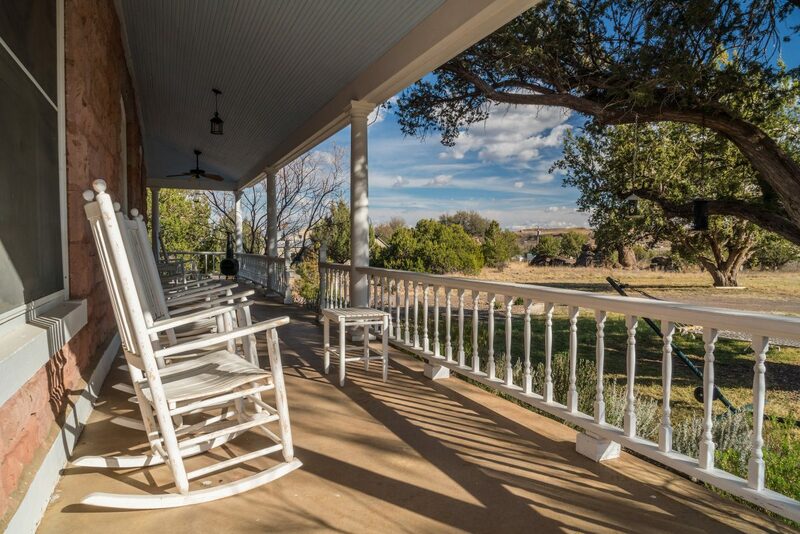 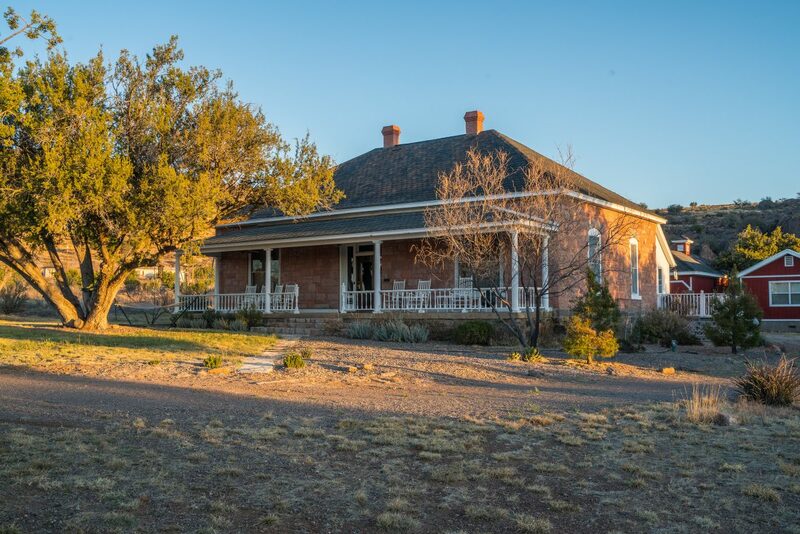 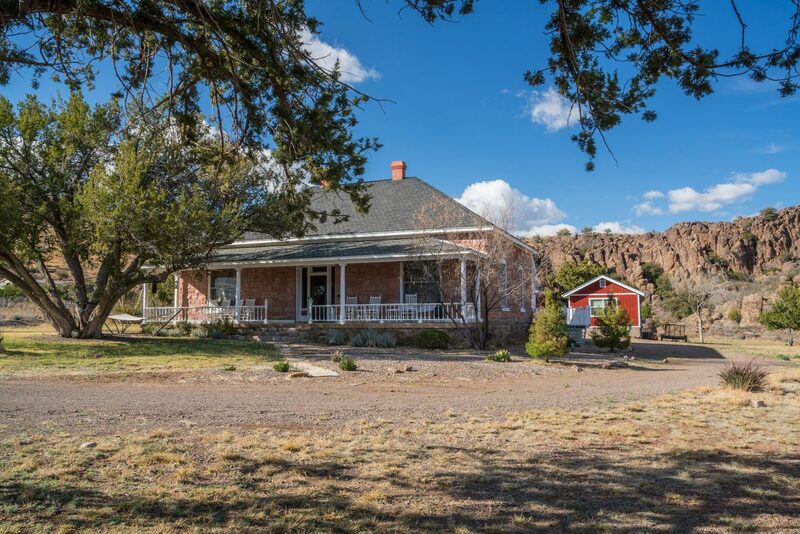 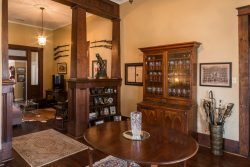 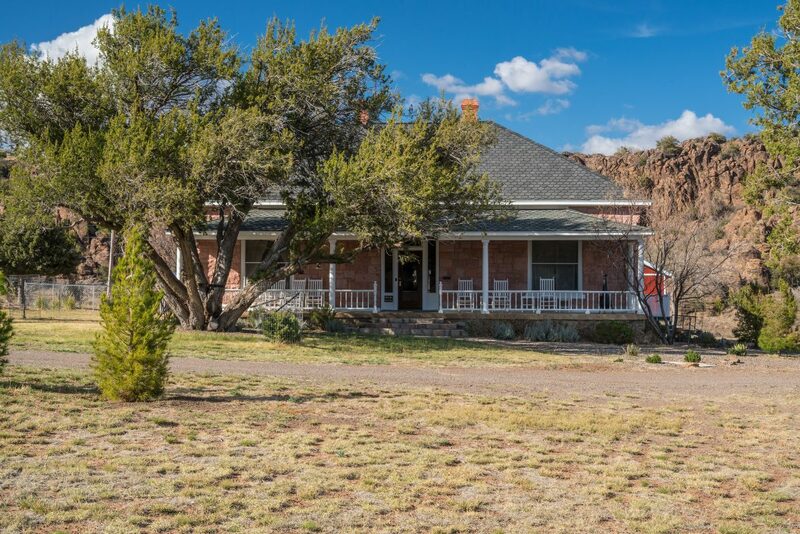 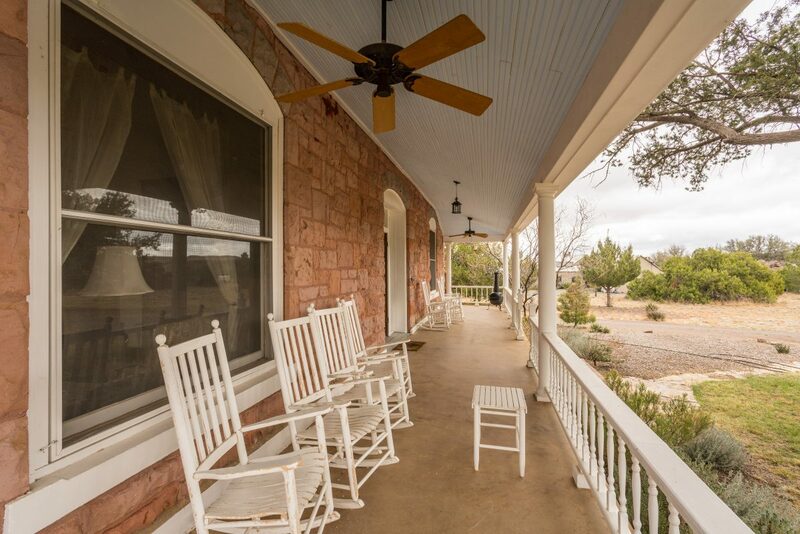 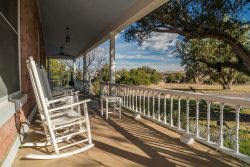 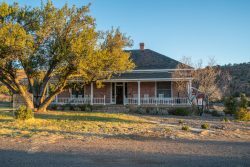 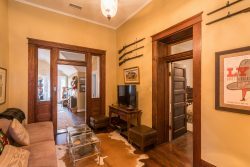 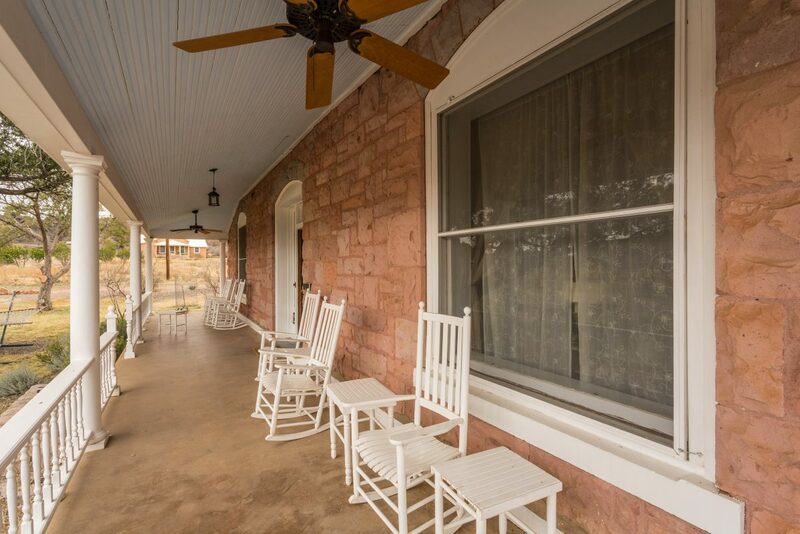 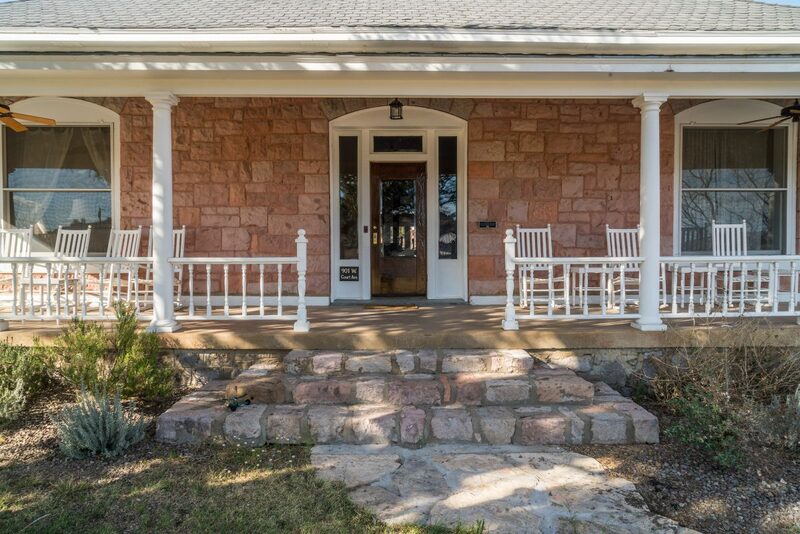 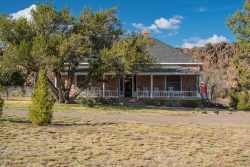 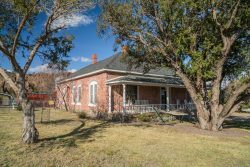 The historic Grierson House was built in 1903 by Harry Grierson, one of four sons of Colonel Benjamin Grierson, the post commander of Fort Davis and the US 10th Cavalry, known as the Buffalo Soldiers. 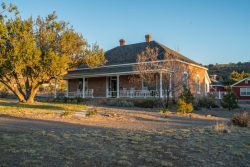 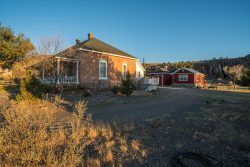 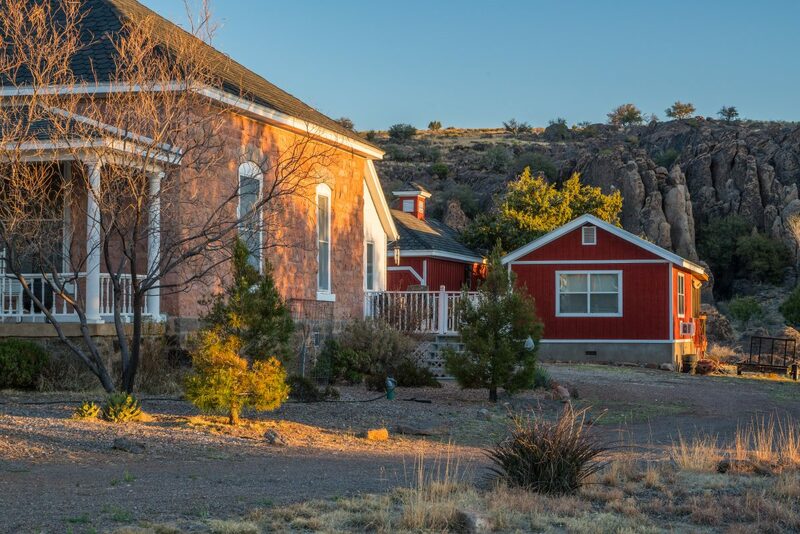 As an adult, Harry Grierson returned to the family ranch in Fort Davis at the turn of the century and he built several homes in the town of Fort Davis. 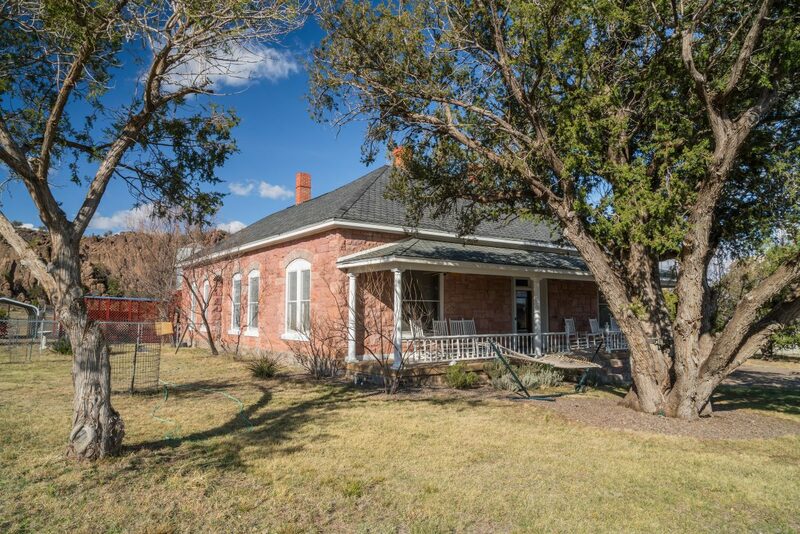 These homes were often rented by other area ranchers as family town homes so their children could attend school. 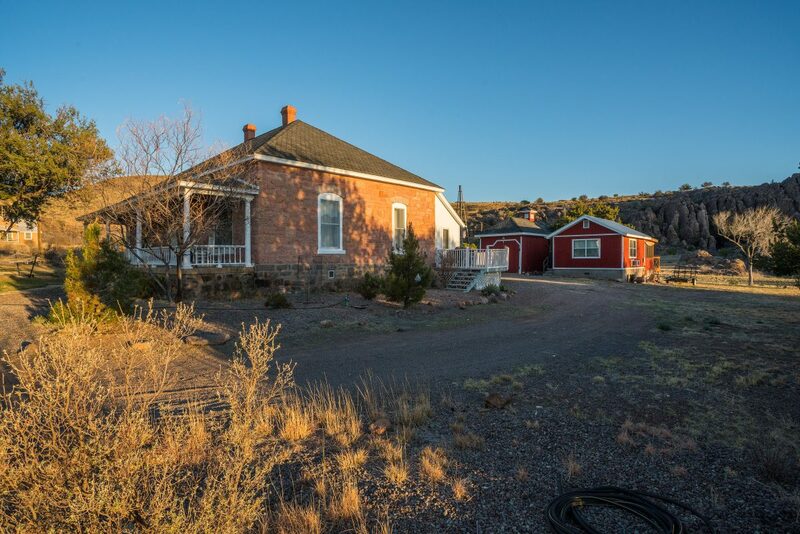 The Grierson House was one of these homes. 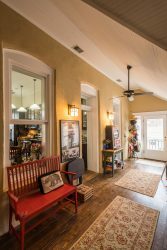 Today the Grierson House has been completely renovated for modern living, yet this 2900 square foot two-bedroom, two-and-a-half bath home retains the Arts and Crafts charm of its original construction. 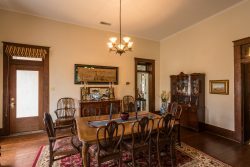 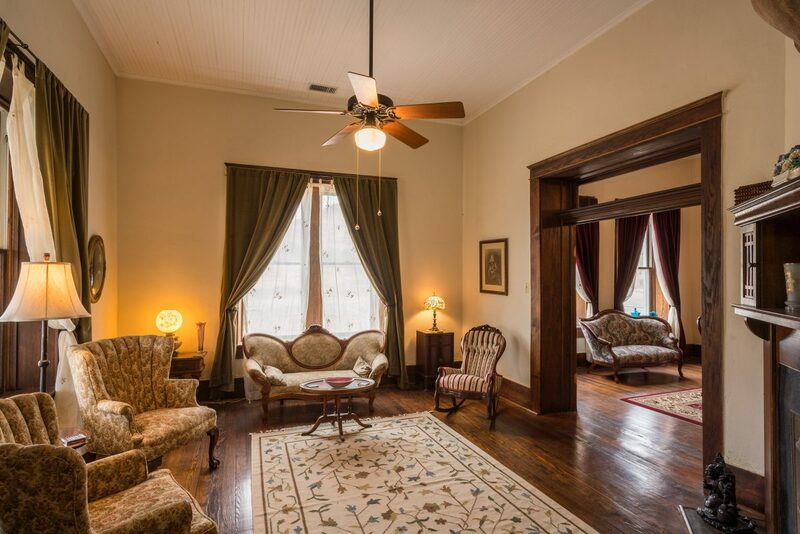 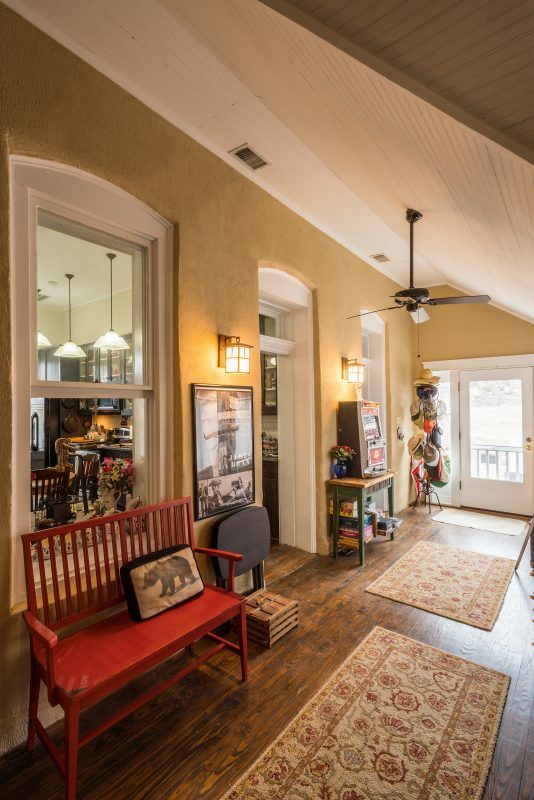 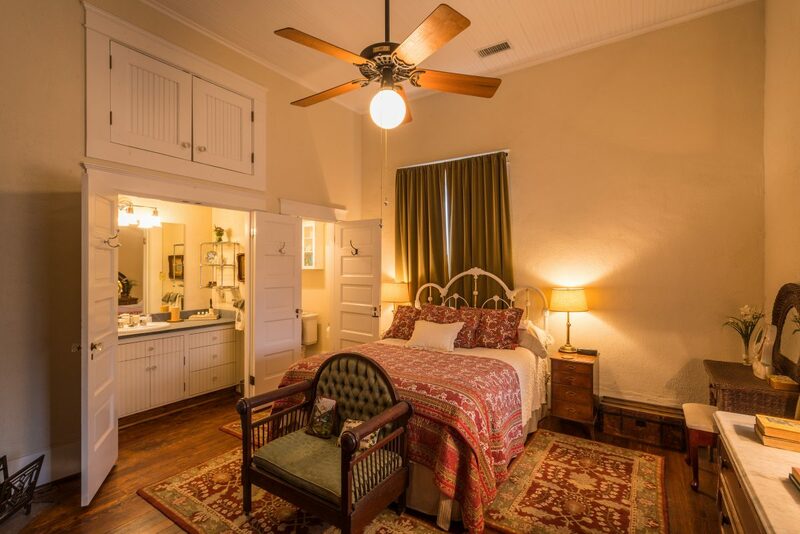 This home is listed on the National Register of Historic Places and is a State of Texas designated Historical Home. 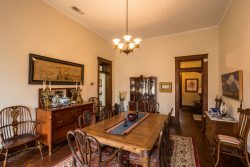 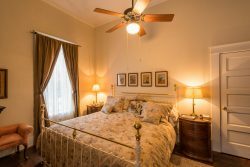 Period architectural details abound, including 12-foot ceilings, encased hardwood doors and windows, hardwood floors, two rustic fireplaces, as well as built-in closets, shelves and cabinets. 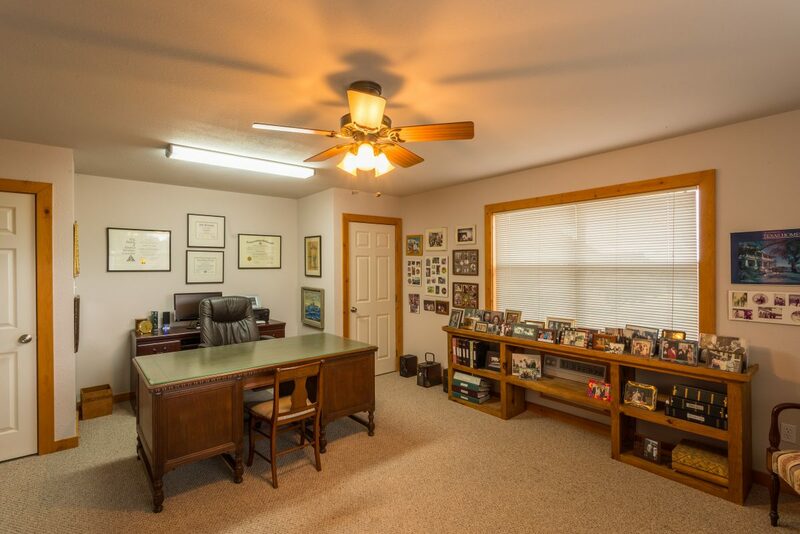 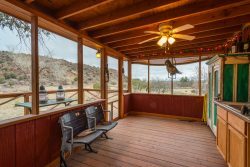 Although located in town, the home has a quiet and secluded country feel. 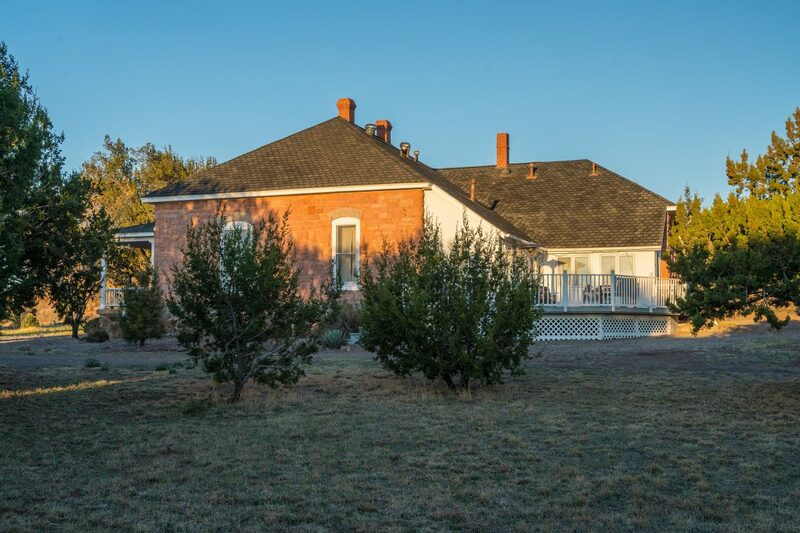 Updates to the home include central heat and air conditioning, updated plumbing and electric, and a new roof. 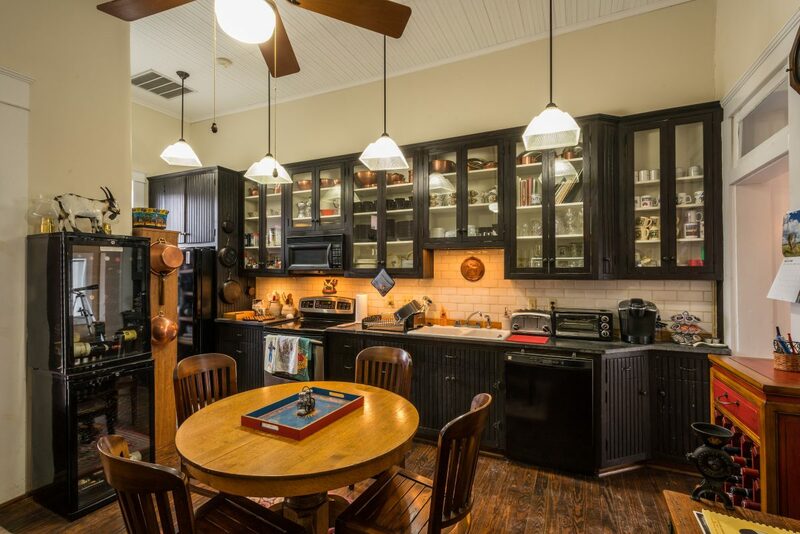 The kitchen has been fully remodeled with custom cabinets and countertops. Other features include a laundry room, enclosed sun porch, and back deck. 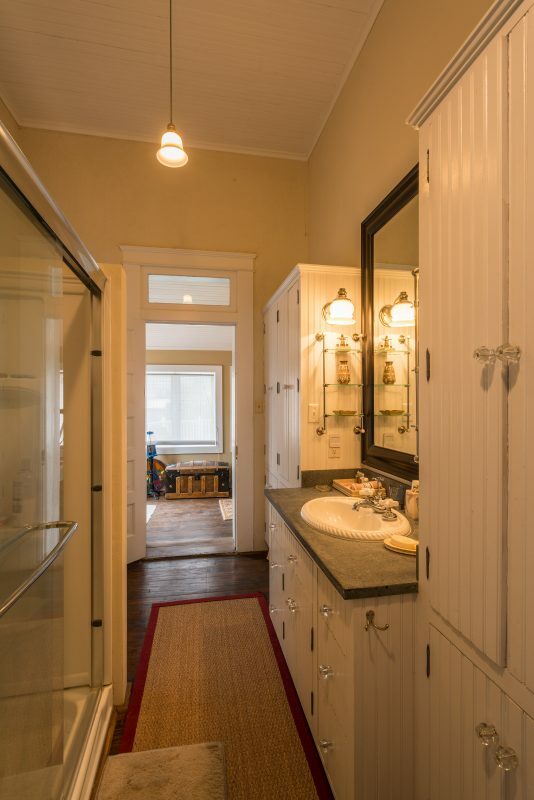 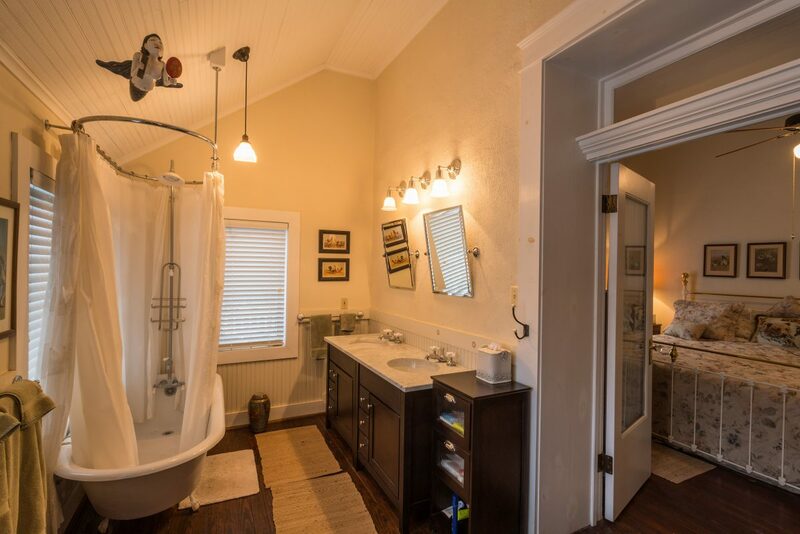 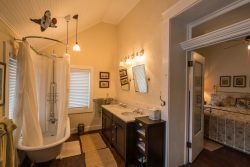 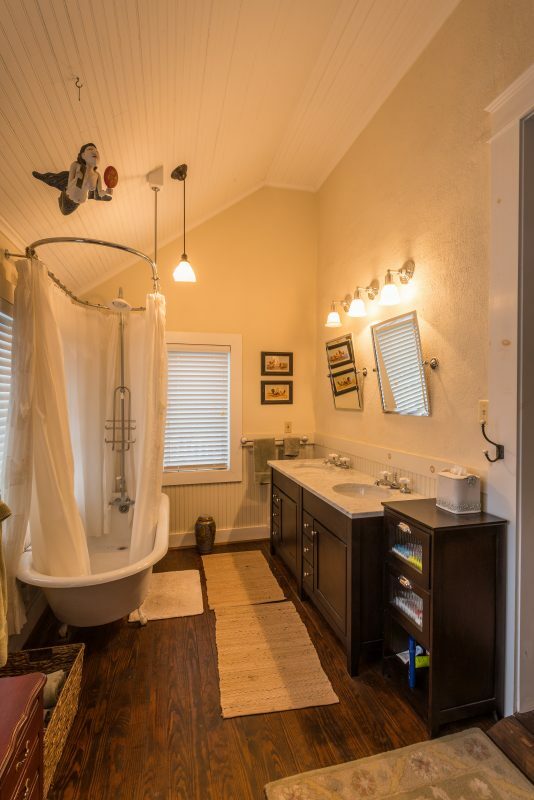 The bathrooms include an elegant old-style bathtub, and fixtures, as well as a modern walk-in shower. 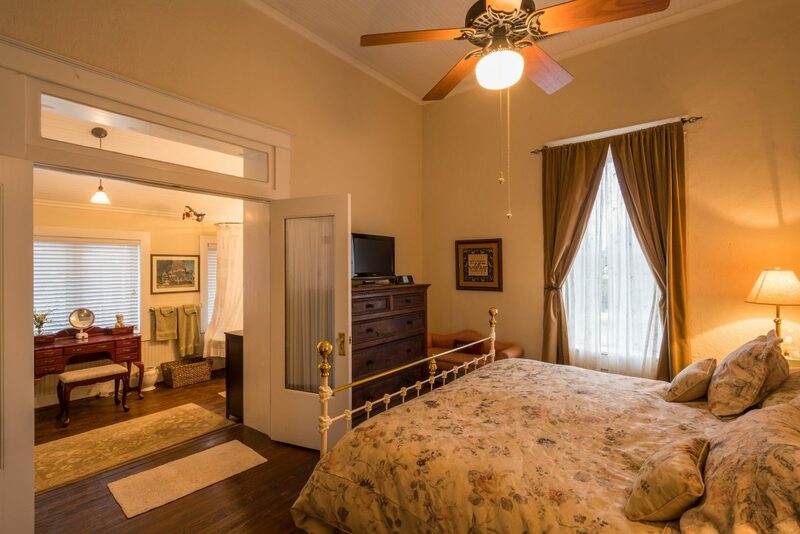 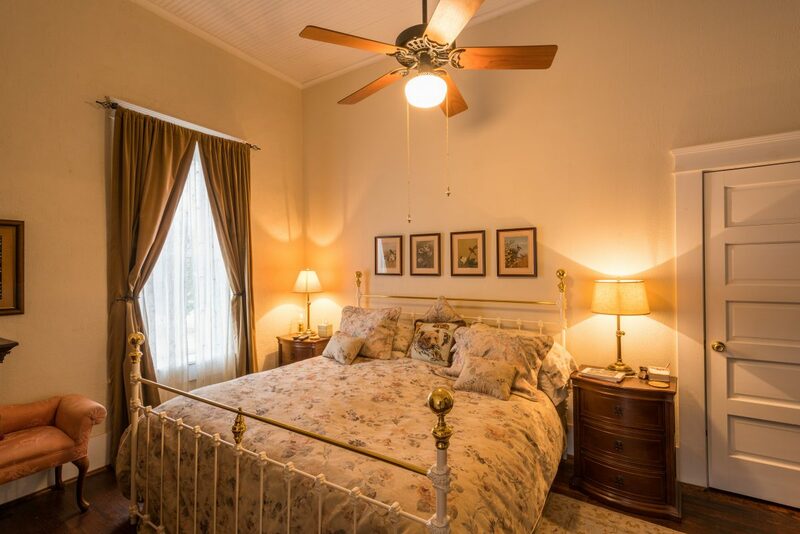 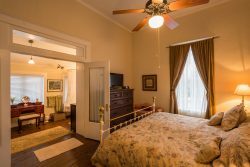 There are two bedrooms: a master suite with full bath, and a guest bedroom, also with a bathroom. 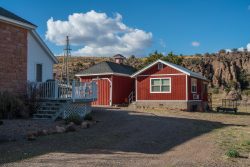 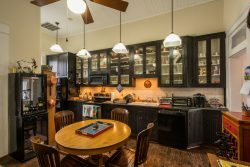 The Historic Carriage House has been remodeled with electricity and a concrete floor and is used for storage, a work shop, and as an extra freezer and refrigerator location. There is an old well house and elevated water storage tank, adding to the bygone era ambiance of the property, as well as a carport and new chicken coop. 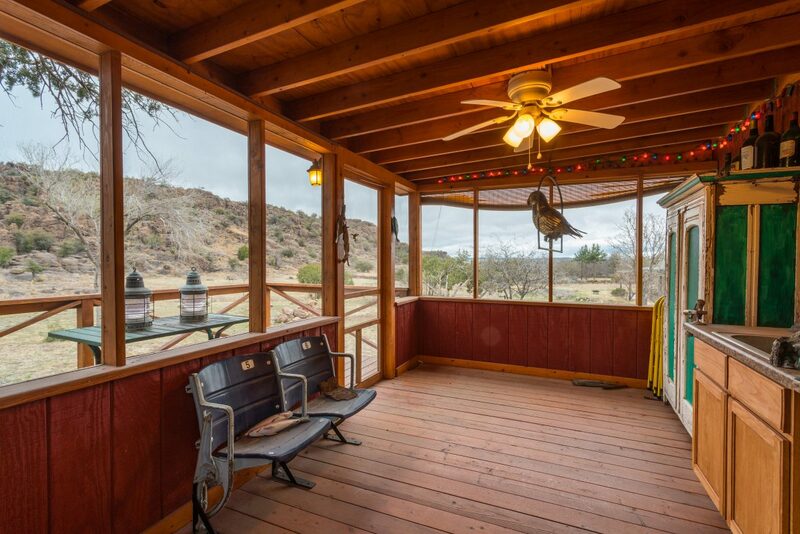 A new casita/cantina was built by the current owner with a screened-in bar area with sink, and an attached outside deck facing the Palisade Rocks to the north. The interior was finished as an office with two closets and it could be easily converted into a guest bedroom and bath. The outside of the house has a world-class front porch with concrete floor spanning the entire length of the home. 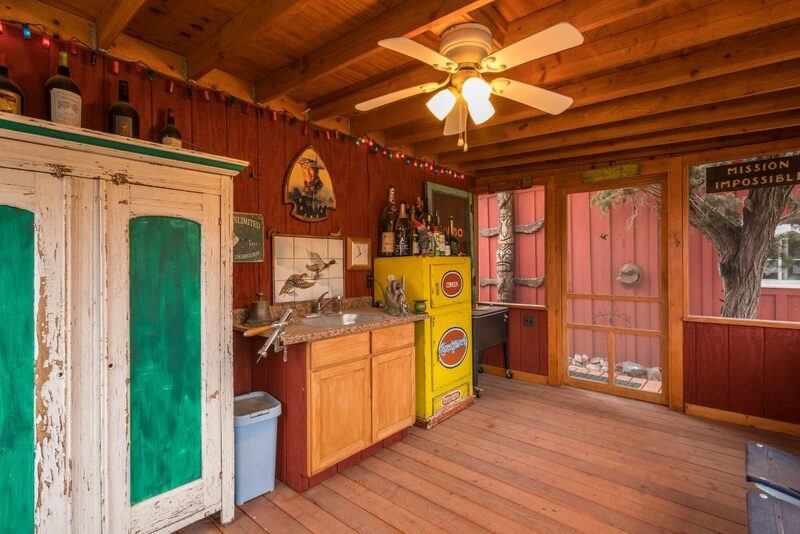 A back deck designed for barbecuing and stargazing, makes this an entire compound ready for the next owner. Landscaping of mostly local trees and plants has been carefully maintained.